China will limit the number of messages that a mobile number can send per day to battle rampant spam messages clogging cell phones. Spam messages, largely consisting of real estate offers, ads for English lessons, fake tax receipts and other frauds have grown very quickly in China in recent years. It is not unusual to receive dozens of messages a day, including the odd gun ad. 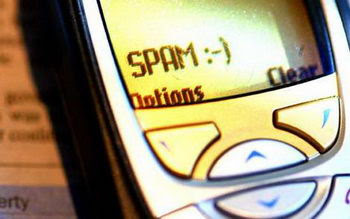 China's three main mobile network operators, China Telecom, China Mobile Ltd and China Unicom have signed onto an agreement to deal with inter-network spam messages. One mobile number cannot send more than 200 messages per hour or 1,000 per day on weekdays, according to the agreement. On holidays, 500 messages per hour and 2,000 per day may originate from one number. So those one man band compaies who are using individual SIM card to blast will certainly have to think of other alternatives.